Ken Mellor has over 35 years of international experience leading workshops that combine meditative practices with personal growth strategies. He is an inspiring spiritual master and mentor. Always down to earth, he is fun and practical. People usually feel comfortable and safe when with him. This makes it easy for them to open up to the transcendent, explore their lives in depth, reach decisions that make their lives easier, and commit to using their new understanding to expand and awaken. He is a dynamic and skilled teacher. He is a Master of Meditation empowered to initiate others, and a spiritual mentor. He is also a professional Social Workers, psychotherapist and trainer of psychotherapists,. He and Elizabeth (his wife) have written several books on various aspects of meditation, spirituality, wellbeing and parenting. 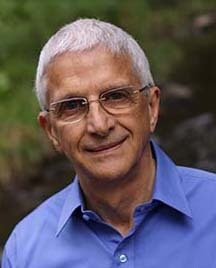 His contributions to Transactional Analysis are well known and taught internationally, and his writing on spirituality and everyday life has been recognised with two separate international book awards.